It's not too difficult to make the Kelvin Hughes Husun 70 marine VHF suited for the recepton of AIS by adding a discriminator output. 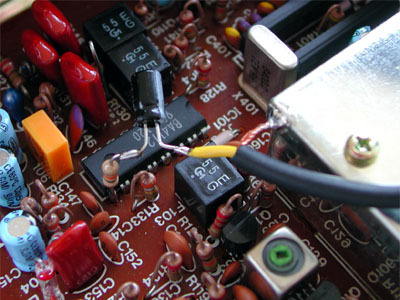 The receiver IC, a BA4112, is located on the main circuit board. To make the IC more easily accessible, the top microprocessor board can be expanded. 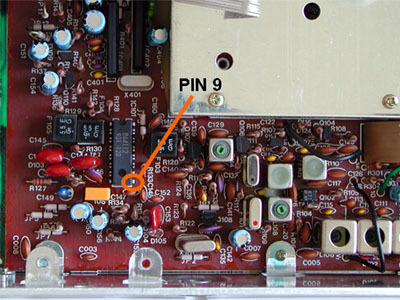 The baseband audio can be found on pin 9 of the receiver IC. Connect a 1 k resistor between the cinch socket contacts. The signal level from the BA4112 is quite high. In combination with the 10 k resistor, an attenuation of 20 dB is created, which prevents your PC's microphone input from overloading. 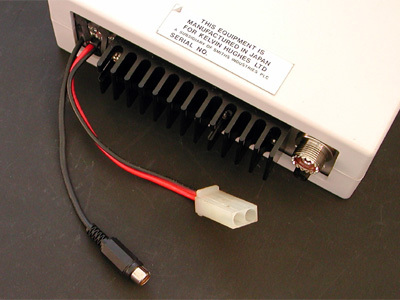 Because the case is isolated from the transceiver's internal ground, I have not put a chassis terminal in the case, but used a 'pig tail' in stead. If a small hole is drilled next to power leads, the shielded wire can be led outside and terminated with a female cinch plug. Obviously, it is also possible to use a longer cord and use a 3.5 mm plug to connect the signal directly with your PC's line or microphone input.